NOAA: Hurricane frequency and global warming NOT the cause of increased destruction | Watts Up With That? A team of scientists have found that the economic damages from hurricanes have increased in the U.S. over time due to greater population, infrastructure, and wealth on the U.S. coastlines, and not to any spike in the number or intensity of hurricanes. UPDATE: URL to paper as originally posted above was missing a period, works now, try again if you missed it before. Well that pretty much says it all don’t you think? Will Gore revise AIT now? 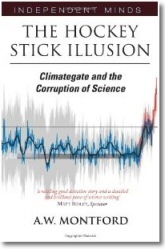 February 21, 2008 in Climate_change, Politics, Science. Ah yes, this must be a rhetorical question. Here is COAPS take on hurricane activity. It is unfortunate that so many people have bought in to the anthropogenic global warming mistake when they could have investigated the issue themselves using credible sources readily available on the web. Some people are concerned about the amount of carbon dioxide in the atmosphere. The assessment that there is over 50 times as much carbon in the ocean as exists in the atmosphere, http://www.whoi.edu/oceanus/viewArticle.do?id=17726 , does not appear to be very widely known. Apparently no one did any real research before or they would have discovered that 440 mya the planet plunged into the Andean-Saharan ice age, http://www.scotese.com/climate.htm , when atmospheric carbon dioxide was over ten times the present level, http://earthguide.ucsd.edu/virtualmuseum/climatechange2/07_1.shtml (http://www.geocraft.com/WVFossils/Reference_Docs/Geocarb_III-Berner.pdf if the original paper is preferred). With a little further real research they would have discovered that, in the current ice age, temperature trends have changed direction at many different temperature levels. See temperature anomalies from http://cdiac.ornl.gov/ftp/trends/temp/vostok/vostok.1999.temp.dat supplemented with recent data from http://www.ncdc.noaa.gov/oa/climate/research/anomalies/anomalies.html or ftp://ftp.ncdc.noaa.gov/pub/data/anomalies/annual.land_and_ocean.90S.90N.df_1901-2000mean.dat . This could not occur if there was significant positive feedback. If they had also looked at the carbon dioxide level from http://cdiac.ornl.gov/trends/co2/vostok.html they would have discovered that the change in atmospheric carbon dioxide level typically lagged average earth temperature change by hundreds of years. If they had looked at the temperature data and Law Dome carbon dioxide data http://cdiac.ornl.gov/ftp/trends/co2/lawdome.combined.dat and the recent data from Mauna Loa ftp://ftp.cmdl.noaa.gov/ccg/co2/in-situ/mlo/ or other sources from http://cdiac.ornl.gov/trends/co2/ they might have also noticed that there is no correlation, except possibly for the 22 years from 1976 to 1998 when carbon dioxide level and average global temperature both increased. None of the data shows any significant influence of carbon dioxide level on temperature. Peer review biased by group-think is de facto censorship. 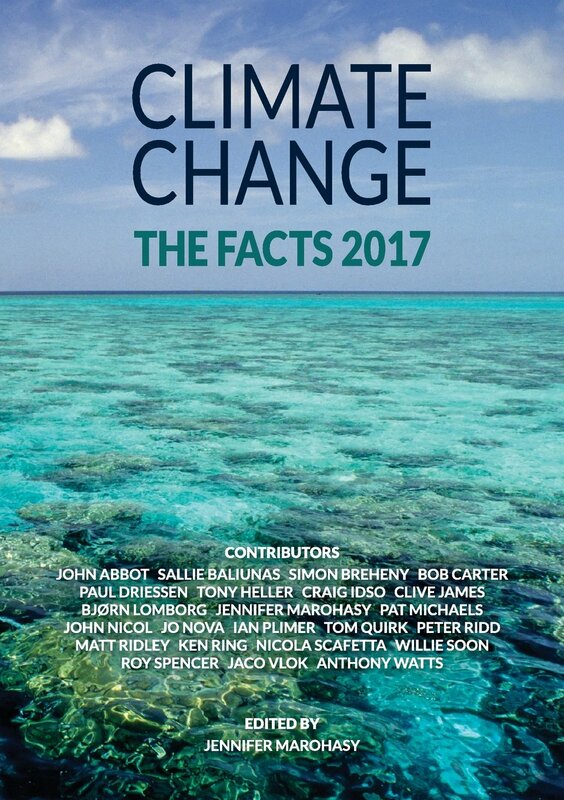 The result here is a plethora of papers advocating that human activity is causing global warming and a paucity of ‘peer reviewed’ published papers that objectively investigate the extent to which human-produced carbon dioxide is contributing to global warming. Since this is the case, it’s probably going to have to get a lot colder before very much changes in most of the media. It will get colder eventually and a lot of people are going to look pretty foolish. It might even get warmer first like it has four other times in the last 11000 years but that’s not likely since we are past due for the coming glacial age. During the coming glaciation, half of the population will starve because rice does not grow on ice. One also must consider the “Tiny Tim” factor and also that before satellite observations many storms went unknown or unreported. Haven’t Pielke Jr. et al. already done something like that? I remember a study something like “normalized hurricane damages …”. Definitly worth reading. Wondering what Al Gore would answer, if he’d be confronted with the results from Pielke et al. Well, the study mentioned in the post is actually Pielke Jr.’s. Probably I’ve read a draft a few months ago, that’s why I thought Pielke’s paper isn’t that actual. Sry for that. Anyone who read Prometheus can’t be surprise by that press release. I wonder If James Hansen is happy that the administration aprove the press release. Pingback: The DaleyGator » Blog Archive » Doh! Climate change NOT causing hurricanes! I had an interesting experience tonight. I stopped in a local pub on my way home from work this evening and they had BBC-US on. There was a brief commercial for a new electric motor. One of the “selling points” of the new motor was that it didn’t have carbon brushes to wear and therefore didn’t contribute to “carbon emissions”. Basically the idea being that people are beginning to believe that all carbon of all sorts is some kind of a pollutant. That even solid carbon is somehow toxic or something. I was dumbfounded that people could be so stupid as to produce such a commercial and that others would be so ignorant as to actually take that as a selling point. If someone proved that the increased hurricane damage that happens in the United States wasn’t due to Global Warming, would that mean that the world (i.e. the United States) would stop worrying about Global Warming? Is that the point here? I mean, i know everyone’s supposed to be an expert on the weather and climate and stuff now, but i must admit to not being an expert. So i’m confused. This seems to be an observation that one supposed indicator of Global Warming is, in fact, not an indicator at all…. It’s not like Global Warming is made up or anything. Maybe the nice, clever ppl who spent all this time and money thinking about disproving the belief that hurricanes are getting worse could spend their time on something meaningful and useful, like finding a solution to Global Warming? Even though it’s already too late? Despite the news he’ll find a sol. Yo, gully, have you noticed? 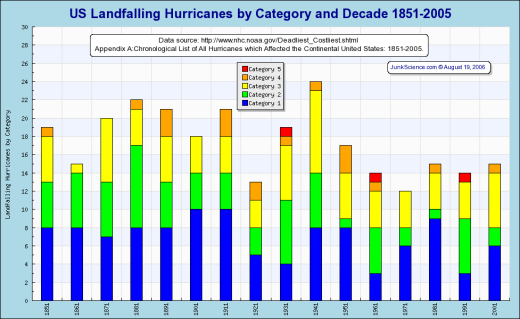 Hurricanes in 2007 down 50% from 2005. Gore said global warming would bring about more hurricanes of greater destructive power. Did he call it? Or do the FACTS tend to point to what these ‘clever’ people are saying? I put this in the “Duh!! !” catagory. BTW, Gullybogan, I am naming you “Captain Strawman”. AGWers have been using hurricanes and the damage they cause, and saying they’ll be getting worse to further whip up climate hysteria all along. Now, I guess they’ll have to rely on Polar Bears – oh wait, their population has been growing. One by one, their icons of fear are being picked off. But, they’ll manage to carry on, somehow, proudly carrying their banner of idiocy. Seriously, the danger of the wrong response to any climate change – warmer or colder – is probably as great as the effects of the change itself. Already our food costs more because farmers are turning corn into ethanol in the mistaken belief that this puts less CO2 into the air (a recent study counting all the effects indicates it puts in more). People around the world are starving because their countries can’t acquire as much corn as before because of the higher price. This is a real world, real time example of why it’s important to get the science and the economics right. And until the world ends (in fire or ice), it’s never too late…. And actually, in some cases “global warming” seems to be “made up.” Chech the Surfacestions.org project for some examples. As an average value, GW is pretty meaningless except for alarmist public relations. Regional warming is more critical because ecosystems are smaller scale than the whole globe and it’s ecosystem disruption that has the most impact on organisms. Pollster: “Hello Mr. Jones, I’m taking a telephone survey. Are you concerned about Global Warming”? Just see our friend Gullybogan above. Global Warming is a myth. Humans, who occupy less than 10% of the total earth surface, can not change the climate. We CAN stop pollution!! Carbon dioxide is not a pollutant. Let’s spend time and effort on what is bad for us and the environment and stop making Al Gore (who is part owner of a carbon trading company) and other zealots rich!! If you follow the money, you will find that those who are supporting the concept of AGW are making a ton of money or have the potential to make a lot of money from it. No realist is making anything from trying to get people to wake up and listen to rational science. could spend their time on something meaningful and useful, like finding a solution to Global Warming? Even though it’s already too late? I’m not sure I follow your logic here. Could you explain what you mean? One aside on damage: traditional methods of reducing risky behavior have swung into effect in the storm-prone regions, and they are having an impact. As an example, in 2002 a friend of mine paid just $400 a year for water damage insurance for his first-floor condo on a Florida beach. By 2006 his insurance bill skyrocketed to over $11,000 a year, with a greatly-increased deductible. That changes his behavior as to what he leaves at-risk with an approaching storm. Since he tries to recover these costs in his summer rental effort he tries to pass the costs to the renters which changes some of their summer-vacation decisions which changes the demand for condos. These big bills also affect the way builders design the lower levels of future construction. Another example is my house, which is 30 miles from the Gulf of Mexico (close enough for bad winds). When my roof is reshingled this March the installer will be using additional nails, stronger roof vents and a modified practice for installing the lowest row of shingles. This is not required by local law but rather has become an expectation by house buyers. Nearby counties do require by law these measures plus others. The bottom line is that people, through traditional local and market mechanisms, are adapting and making smarter long-term decisions, based on what they now know about the risk. No. Just gussied up. And wearing platform shoes. Anthony, this is somewhat off-topic, but related to disasters. Wells, Nevada was hit by an 6.0 earthquake yesterday. It’s one of the unsurveyed Surfacestations. How long do you suppose this is going to knock out temperature collection? Anthony, maybe it needs a separate entry? REPLY: I’ve seen it and I can’t believe NCDC wasted time on this, the whole study is just spin. The lead professor at my university switched focus from tornadic mesocyclone studies to “global cooling” in 1978 based on the science at the time. He even talked me into doing a 30 minute TV special about it then. Petersons study is nothing more than an attempt to cover the past with a sugar coating. It’s no surprise that there was some concern about cooling thirty years ago. We’d just had three decades of cooling, just as we’ve now had three decades of warming. The difference is that the last three decades have had a rising CO2 level approximately in line with rising temperatures. This, along with human guilt about damaging our environment, has made possible the logical fallacy, Post Hoc, Ergo Propter Hoc, which is the widespread belief in Anthropogenic Global Warming. That, and that there probably is a small greenhouse effect from CO2. What amazes me is the credulity of masses of scientists. Thanks Anthony. Pretty much what I figured. Also wondering how he only found 71 articles covering a 15 year span. I would think the number would have been closer to several hundred, if not thousands of total articles on climate change. Was this a random sampling? I suspect the answer is “no”. If not, then was it cherry-picking? Coincidence the lead author of that “report” is listed as an IPCC author? I’ve asked him if the sample of articles was randomly picked and if not how did he determine which 71 articles out of the obviously several hundred written on the topic over the 15 year period to use. Oddly, my comments are not showing up. I wonder if I’m being censored? I wonder why he wouldn’t want to answer that question? REPLY: You can ask William Connolley over on STOAT the same question, he was co-author. He’s a bit cantankerous, so use finesse. Students at Arizona State University’s Walter Cronkite School of Journalism and Mass Communication soon will begin benefiting from a new partnership formed between the university and Weather Central. REPLY: Weather Central is a different entity from TWC. They provide display systems. I’ve been flamed from time to time for saying there was just as much consensus on global cooling as there is on global warming. The “flamers” were, of course, missing my point that I’m really not seeing any more consensus today. What I am seeing is a much more effective application of sheep dip. If we are heading into a few decades of cooling, do you think carbon emissions will be become popular again? If we are getting a new solar minimum, will carbon emissions become mandatory? And what will it take for James Hansen to quit saying that we can deliberately prevent the next ice age? See, with AGCC, it doesn’t matter whether it warms or cools. C02, or “carbon” as they like to call it is the ultimate skapegoat for everything bad that happens weatherwise or climatically. They’ll probably refuse to admit there’s any cooling trend, and/or downplay it, and say that the heat is being absorbed by the oceans, to come back later to haunt us. C02, or “carbon” as they like to call it will still be the enemy. Which reminds me, I need to get rid of all my pencils to reduce my carbon “footprint”. We don’t have that many hurricanes in the country i live in. What we are having is the most severe drought in living memory. This drought is due to a shift in rain patterns in the tropics – the rain we need is falling as monsoons across southeast Asia, rather than as ‘normal’ rain into our catchments. This shift is caused by Global Warming, not by housing developments on the Florida coast. So, i’m sorry, but you guys can argue about Florida and the phantom menace of the hurricane count as much as you want. In Australia we are living Global Warming on a daily basis. I would appreciate it if the United States of America weren’t to become complacent about Global Warming because it’s not affecting you as much as you first thought. There are other people in the world. People who don’t have oil, but who you have to worry about anyway. Global Warming is a buzz phrase designed to imply that everything’s going to hello in a handbasket and that people are to blame. Now all we need to do is get rid of all the people, and Mother Gaia will be fine. Everyone’s just as worried about everyone else. I lived in a place in the US once a long time ago where there was a draught that lasted about 8 years long. Gullybogan , what makes you think that the drought in Australia is caused by global warming? Do you know exactly how much warming there has been over the last thirty years in the Southern Hemisphere? Around one third of one degree Celsius. Forgetting for a minute every other debate about AGW, do you really think that this 0.35 C rise over the last thirty years is really the dominating factor in the weather? This rise is blamed for ever weather experience from floods to droughts to hurricanes to tornados to snowstorms; but actually there is no convincing evidence that such a small change is responsible for any of them. As I am sure you know there have been lots of severe droughts in Australia over the years, even when temperatures were a little cooler than they are now. gullybogan is an Australian who needs to keep up with the news. There has been record rainfall across most of eastern and western australia. Parts of Queensland had an eye-popping 65 centimeters of rain in 24 hours last week. If global warming caused the drought then we are definitely into global cooling. And BTW, tropical cyclones in the Australia region have been declining for 30 years and this year will be at or close to a record low of activity, which has made the north of Australia relatively dry. “I would appreciate it if the United States of America weren’t to become complacent about Global Warming because it’s not affecting you as much as you first thought. “There are other people in the world. People who don’t have oil, but who you have to worry about anyway. Perhaps the US would become complacent if there were five or so years of post-40s style cooling. That’s our attention span regarding such issues. In the meantime, cooling or warming, there is going to be a lot of attention paid both in terms of science and media. We need to find out if the temperatures are being measured correctly. We in the US (and the rest of the developed world) will not suffer terribly if stringent anti-GW measures are put in place. But I fear greatly for India, China, Indonesia, and Africa. If those areas slow their development, they will continue to suffer, and suffer badly. If the DCs cut back, the UDCs (most of whom are without much oil, but have coal) will suffer very badly as an indirect result. If there is a serious GW problem, it will require a high level of both wealth and tech. The world is at a “tipping point” economically. If we break through, which we will in the normal course of events within the next three decades, we will be far more able to shape both ourselves and the world. Out capabilities, if not restrained, will overtake the crisis even it it is a real and serious concern. I am well aware of the Pascal’s conundrum posed by those who would act quickly. I throw Pascal back at them: Not overreacting will greatly enhance our power to deal with the crisis if it is real. And, if there is no crisis, it would be MUCH better if we did not expend $trillions and cause even more $trillions never to be created. To those who say millions MAY be affected by GW. I say many millions WILL die and billions will be condemned to poverty if we waste those trillions–whether or not there is a crisis. And while the DCs would not suffer in the same way, the huge technological advance that expended/not-created wealth would engender will be lost to the world, or at the very least tragically delayed. That is the other side of Pascal’s conundrum. So we in America will not ignore global warming. We will study it, and we will observe it. And we will not turn out backs on the UDCs. And if there is a real crisis and we have the wealth and technology to deal with it (as yet we have neither–but we WILL if we move forward for two or three decades), we will with GREATLY increased capabilities deal with the crisis. But please consider ALL the alternatives, and don’t forget that the sabre of Pascal slashes both ways. Most especially for those people who don’t have oil. Just as a note Gullybogan, here in N E Alabama USA we have been in a extreme drought beginning in 2005. as of this date since Jan 2005 we are about 60 inches short in rainfall. In 2007 where I live we are in one year 37 inches short in rain. Our normal rain is about 48.5 inches here. Yes we know about drought. many of our farmers and livestock producers have suffered terribly. not some of the water ponds went dry, all of them did. and they had to pump county or city water at premium prices to have a seed herd to survive. the farmers just lost out. As you can see we are familiar with drought. As a thought in the 1960’s before the great population growth on the Florida coast most of the houses were relatively flat roofed because of the power of the tropical systems. In the late 70’s more of the norther people moved down and elected their own local officials and they as is normal hired for consultants the engineers they were used to also mostly from Northern areas. Now don’t misunderstand but the building codes changed and 6-12 gable end houses with windows up there for the great view over the water or everglades were the new order of the day. Unfortunately most of the gables were east-west oriented for the view of the sunset or sunrise. If you study some of the pictures of the aftermath of hurricane Andrew you can see the difference between the older flat roofed homes and the newer high gable ended roofs. That big flat gable end acts as a big sail and there goes the roof. As an aside the standard from the old timers in FL was that the northern designer’s put the steep roofs on so that the snow could slide off the roof easily. “In Australia we are living Global Warming on a daily basis.” No, what you are living is Global Warming Hysteria. Big difference. Do yourself a favor, GB, look at some actual science, for a change. It will do you a world of good, believe me. same with Hotosk ice (compared with most recent time lapse doesn’t make sense. Don’t mean to be picky but can someone check? And starting to do the Funky Chicken. october 2007. Hope it is an honest mistake. Someone posted in this thread that “it isn’t like Global Warming is made up”. I am starting to wonder if it is. There are some serious doubts in my mind concerning the validity of the data being used to generate these global averages. My belief is that not only is the data itself junk but in many cases it is “adjusted” such that it the input data is modified to reflect the desired conclusion before it is averaged. I have absolutely no faith in the ground station temperature measurements. The data I do believe shows a brief period of warming lasting about 20 years from the 70’s to the 90’s that is consistent with past periods of warming in both duration and amplitude. We are wasting billions. We have “experts” flying all over the world, being moved about it limos being treated like royalty. Of COURSE they are going to continue saying what they have been saying if it gets them the kind of treatment they have got so far. They are human beings. the Pielke paper ignores all improvements like this. it does assume that a 2003 house will suffer the SAME damage that a 1902 house would. do you notice the flaw in that his approach? Considering that the measurement is merely real cost over time compared with population and actual storm occurrence, there are any number of factors that are not being taken into account. Including value of houses (on the side of increased damage), and the strength of houses (on the side of decreased damage), etc. The far greater fallacy, as widely practiced by others, is to assume that increased $damage correlates with increased hurricane activity. All the weather scientists who use short periods – 1980 – present seem to ignore previous periods. 25 years is the fly-speck on the backside of an elephant in regard to weather trends. In Australia, the first 50 years of 1900s was much drier than the second half, but seems to be ignored when looking at droughts etc. OF course there were variations in the location of the dry and wet periods. We have just had the coolest summer for 30 yrs and that followed one of the hottest – normal variations, I’d say. Cooler weather came with a rising SOI and La Nina but despite feet of rain along the coast of Qld and in the Central Highlands, our particular area has not received drought-breaking rain. We are in a green drought with plenty of grass but no run-off for the local water supply. RE Hurricanes and cost: I am waiting until a cyclone strikes SE Qld because much of the housing on the Gold Coast is built on the flood plains of the local rivers. In the 1950s what is now suburbs was farm land and there is a picture of a farmhouse with just the tip of the roof out of the water. The big floods of 1974 and 1976 (both 1/100 year events) were the last cyclones and cyclonic depressions to occur. Bogan is Australian (especially teenage) slang for someone who is not `with it’ in terms of behaviour and appearance, someone who is ‘not us’; hence, someone horrible, contemptible. The term became widespread after it was used in the late 1980s by the fictitious schoolgirl ‘Kylie Mole’ in the television series The Comedy Company. In the Daily Telegraph (29 November 1988), in an article headed “Same name a real bogan”, a genuine schoolgirl named Kylie Mole “reckons it really sux’ ” [i.e., finds it horrible] to have the same name as the television character. In Dolly Magazine, October 1988, “The Dictionary According To Kylie [Mole]” has the following Kyliesque definition: bogan “a person that you just don’t bother with. Someone who wears their socks the wrong way or has the same number of holes in both legs of their stockings. A complete loser”. Now, now, how can we blame anyone for believing in a probably exaggerated version of AGW? There is a singularly one-sided reporting of it, it is ensconced as core curriculum and it is reported ubiquitously that there is a scientific concensus and that those who doubt are either idiots or villains. You know it. I know it. It’s the main reason we get as mad as wet hens. But we MUST NOT fight fire with fire. It is therefore unseemly that we take those who believe thus to task, and I implore my fellow skeptics not to do so. We must not deal in scorn or rejection. we must appeal to a sense of fair play. Balance. Openness. Observation. Science. Too many on the AGW side of this debate will try to drive off their opposition. But we must not do that. We must win them over with logic, science, and an appeal to fairness. We need them on our side. Already, so many who have come to scoff have remained to pray. Let us in the name of intellectualism and charity encourage this growing trend. gullybogan seems to be a fairminded person. He has been respectful and has made an appeal to reason, unlike a lot of others who believe as he does. I find that refreshing. I encourage a reasonable dialogue with him. Pingback: Yet another inconvenient story ignored by the MSM. « Watts Up With That? “But we MUST NOT fight fire with fire”. Hmmm… While we’re sitting around singing Kumbaya, they’re busy laughing, and plotting their next move. When you pick up a weapon, you can’t whine and complain if it then gets used against you. The only weapon we WON’T use is their nuclear one; that of lies. But, you’re right, I do feel sorry for BG. He just doesn’t know any better. Check out my comments at the end of the Cedarville and GISS Adjustment thread, and get back to me. Being reasonable and having the facts on one’s side–and not giving ground–is an extremely powerful weapon. Sometimes it won’t do to use weapons used against you. Not if the weapon (scorn, belittlement) has no place on the field of conflict. Part of the reason we are in this “conflict” is that we object to the use of those weapons in the first place. Lots of people don’t know any better. It is on us to change that. Yeah, it’s an unfair burden, but if it were fair we wouldn’t be here in the first place. The majority of the folks out there think they are doing the right thing. We’ve got to change their opinion, not do to them what they are trying to do to us. Noblesse oblige ain’t easy, but it’s what we’re stuck with, and it’s our best, most honest weapon. We lean over and knock them back against the ropes. But we don’t stomp on them when they’re down; we offer them our hand and help them back up. Because we are intellectuals and this is a debate over facts, not values. Today’s rank-and-file opponents are tomorrow’s neutrals–and allies. Besides, BG isn’t trying to nuke us, he is well within the acceptable rules of engagement. Would that all the “other side” was! Plus, we have to consider the terrain once the “war” is over. The real objective is to change the entire terrain of the debate so something like this flap won’t happen again. I find it interesting that these four reporting agencies like to describe their temperature data as anomalies; and people like to look for “trends” in the data. And of course the perceived trend depends on how long a time interval you select, adn when you start it, and when you end it. Then the four reporting groups use different “baseline” preiods for their temperature scales. There is nothing at all anomalous about these temperature data; they are (purportedly) what was actually measured in that scientific laboratory known as planet earth; they actually happened as they are recorded here. So don’t look for trends; the only trend present in any of those data sets, is the progression from one measured data point to the next data point. If you want to look at trends Jut take the Mauna Loa obsevatory CO2 data and plot it on the same time scale graphs, that the four reporting agency’s data is plotted on. And then try if you dare, to find any correlation whatsoever between the actually measured temperature data, and the actually measured CO2 data. You won’t find any, because their simply isn’t any. I must say, I really appreciate your work. 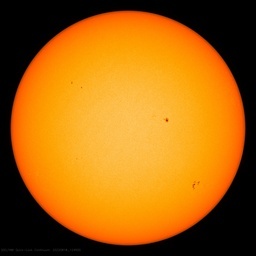 The flat sunspot siuation probably implies that the earth’s cosmic ray flux, is currently at some sort of high level, maybe historically high. And more cosmic rays leads to more efficient cloud nucleation, so I would bet that this period of sudden cold, occurring even though there was increased global precipitation, means we had unusually high lgobal cloud cover during that precipitous temperature drop; and cosmic rays had a lot to do with it. I thought that theory was still very much up in the air. Pingback: New AMS draft policy statement links Hurricane Katrina and climate « Watts Up With That? Cosmic rays have been experimentally determined to be able to produce ultra-small aerosol particles. These particles act as cloud condensation nuclei. It is still classified as a Theory, it has not yet been made into a Law. The test was done at Stanford I believe, and is scheduled to be redone in London and a Russian lab to determine it validity. There have been no tests to disprove it yet. Yes it is, I forgot that Anthony was the name of the blog host. I’ll put my last name on here now. Pingback: Hurricane expert reconsiders global warming’s impact « Watts Up With That? global warming is real -> indeed :(. Sad but true. Now the PDO has gone cool. Temps are down sharply (after years of flatness). The NAO and AO may be going cold (ahead of expected schedule). I would definitely take a wait-and-see attitude before either jumping to conclusions or taking economic measures that will cost up to half of world economic growth. Ahem…global warming is still happening. Methane clathrates are melting. This has been hypothesised as one of the trigger mechanisms for the Permian-Triassic mass extinction, and is a severe positive feedback mechanism for global warming, along with the melting methane in Siberia…we’re reaching that tipping point now as it was discovered this September…look it up. Regarding 50x the CO2 in the ocean.